Stoke Park, in Buckinghamshire, is a beautiful country club, spa and hotel, set in 300 acres of sweeping parkland estate. The venue hosts a number of corporate events, including golf, tennis and spa days, which are a great way to reward the team at Christmas. As well as team-bonding events and private parties, Stoke Park also hosts fabulous shared parties. This December, the venue is hosting circus-themed parties for guests, with exquisite cuisine prepared by award-winning chef Chris Wheeler. Stoke Park also has an on-site team of experienced event co-ordinators, who are on-hand to ensure every event is a success.  Christmas is a busy time of year for most organisations; it’s not just office parties being planned. Stoke Park’s nine beautiful function rooms provide the perfect setting for business meetings and conferences. Each room provides a professional, five-star atmosphere for board meetings, training seminars and conferences. Day delegates also have use of Stoke Park’s award-winning health facilities. The recently refurbished 27-hole championship golf course, designed by Harry Colt in 1908, is one of the finest parkland courses in the country (it was also the setting of the iconic golf battle between James Bond and Goldfinger). Why not treat staff to a day of golfing this Christmas, or entertain clients by planning a corporate golf day at Stoke Park? Stoke Park has 13 tennis courts (three indoor carpet courts, four artificial clay courts and six Wimbledon-specification grass courts), which are perfect for individual tuition sessions or company tennis tournaments, whilst a tennis clinic can be an effective team-building exercise. If you’re looking to unwind, why not treat your clients or colleagues to a day of pampering in the stunning spa at Stoke Park. With fabulous treatments and gorgeous facilities, including the recently opened Spa Gardens, it makes the perfect festive treat for your guests. Want to incentivise your team this winter and need some inspiration? Stoke Park offers a wide range of activities, including cookery with award-winning chef Chris Wheeler, cocktail masterclasses, a segway experience, and a spy school.  Why not celebrate your Christmas shindig by planning a private event? Whether it’s a Christmas lunch with colleagues, a gala dinner with the team, an afternoon tea or an awards dinner to celebrate the end of the year, then this venue is able to help organise a truly magnificent event.